Health is one of the main reasons families entrust their aging relatives to the care of staff at senior centers. These facilities often have a greater wealth of human and material resources that ensures they can provide medical care and daily living assistance to the elderly. What some people fail to consider, however, is that their loved ones' welfare also includes mental wellness. Elders who reside in senior communities thrive when they're in good physical health, but they do even better when they can socialize and partake in Oakland County activities that benefit their mental wellbeing. The caregivers at senior communities like Canterbury-on-the-Lake take their cues about the importance of activities from established research. For example, the Mayo clinic and social work organizations have demonstrated the positive effects that listening to music and singing can have on elders with diseases like Alzheimer's and dementia. Some studies have shown that seniors who exercise regularly enjoy longer lives and may be less susceptible to other ailments, and this even includes those who only engage in light exercise. Research also suggests that exercise is a major aid in the battle against depression, which affects a significant number of elderly Americans. What Kinds of Activities Should Seniors Participate In? Different individuals benefit from and prefer different kinds of events, so good senior communities usually provide a range of activities. This helps residents find something they like and maintain a more active schedule. Guided class activities that focus on the arts and crafts are often very effective ways to stimulate people's minds in a low-stress situation. Because projects like painting, knitting and crocheting are guided yet highly individualized, they're easy for seniors to get involved in and pursue at their own pace. It's also important to facilitate optional activities that let residents take control over their own lives and schedules. Resident association meetings and special meal events commemorating holidays like Veteran's Day give people a chance to forge ties in their communities and interact with each other. 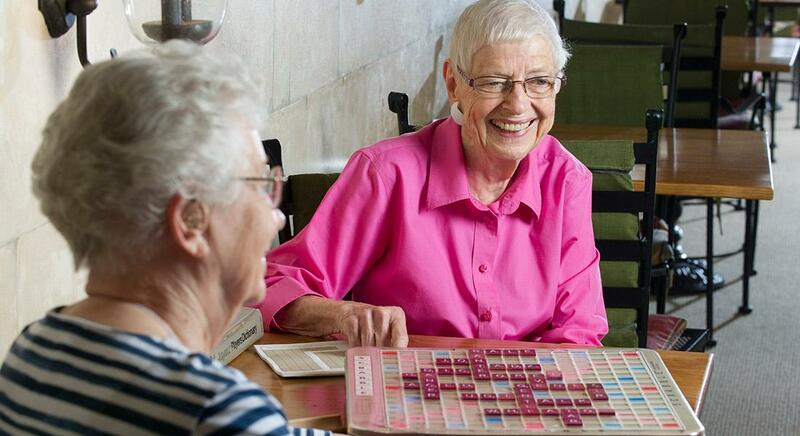 Low-key activities, like bingo, cooking classes, concerts and music-listening sessions give seniors the freedom to converse, interact and connect as they do things they enjoy. Activities should also help seniors expand their environments so that they can maintain a positive outlook. Outings to local shopping centers, tours of nearby landmarks and trips to parks offer vital stimulation that fosters a fresh perspective on life. Some seniors suffer from physical conditions that leave them unable to exercise to the same extent they did in their youths. Nonetheless, even those who can't participate in walking outings or similar excursions benefit from guided activities like chair yoga, gentle stretch classes and aquatic aerobics. Like anyone else, seniors who participate in a range of activities lead richer, more fulfilled lives. Whether they include local trips or onsite group gatherings, such events dramatically increase the benefits and enjoyability of living in senior communities.